Owned and operated by Marsha and Bill Bissell, building our first 3,000 sqft greenhouse in 1987. Today our double poly greenhouses total over 9,000 sqft, with a low carbon and green footprint. Utilizing energy efficient ceiling and gable wall shade / energy curtains, insulated and reflective North wall, recycling / reusing our production waters, cooler growing temps, and precise automated environmental controls. In addition our 1,800 squft out side growing area utilizes 50% shade cloth overhead, and the lake Erie breezes to gently acclimate plants to the current natural environment. In addition we implement water conversation by precisely hand watering each plant verses broad cast watering. In 2005 we received our certification as a Proven Winner Garden Center, we also offer Proven Selection, and many other hybrid variety's. Early each spring season we transplant and grow a wonderful selection of more than 40,000 beautiful flowering annuals, and vegetable plants. 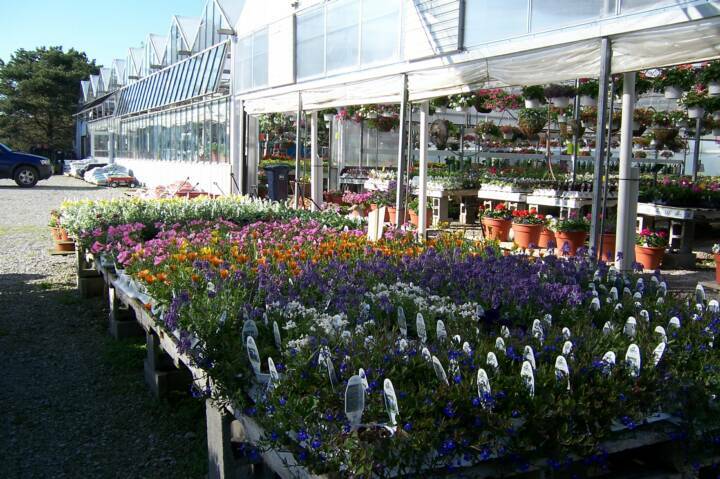 We are also proud to offer perennials, potting soils, mulches, pots, fertilizers, for all your garden needs. We can custom plant your arrangements! Just West of Beautiful and Nautical Vermilion Ohio, take US Route 6 (lake road) just 3 miles west, then South on Barnes Road 4/10 mile, we are on the left just before the Railroad underpass. 7 days a week - 9am to 6pm beginning last week of April thru the end of June.